Need a quiet space to create or work? Or an event space for a few hours for a special event? 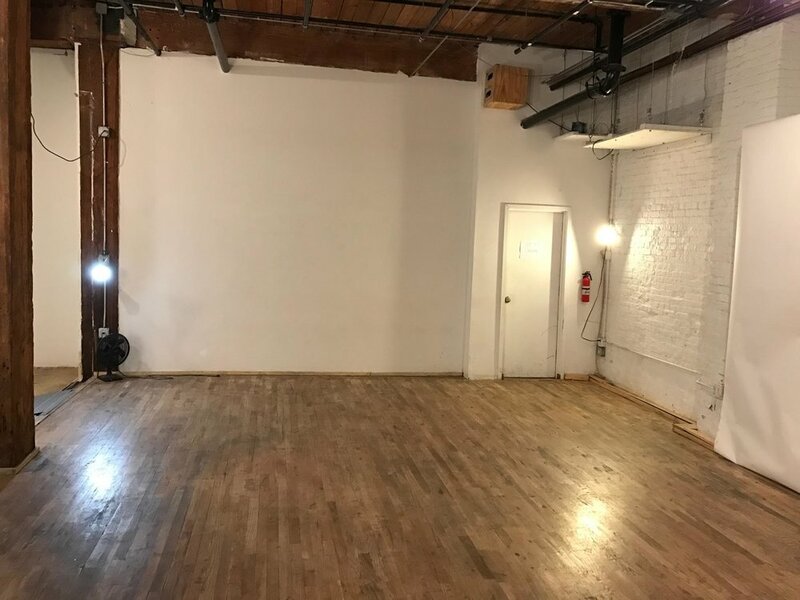 Our studios or gallery space is the perfect space for community gatherings, meetings, workshops, film shoots, photo shoots, launch parties, networking events, conferences or a corporate fundraiser, we have 3 small studios available for rent, and a larger Gallery Space which holds up to 200. Work or create in one of the most sought after locations in Brooklyn, surrounded by breathtaking views of the Manhattan and Brooklyn Bridges, amazing restaurants, & bespoke stores, are all a stone's throw away. The perfect setting for you next activity! We have a choice of 2 studios (smaller/ larger) to rent by the hour or for long term rentals see below. Perfect to work or create or for a private event. Our gorgeous intimate spaces come with authentic 18 feet ceilings, with original loft finishes, exposed brick and wood beams! The building stands on the most photographed studio in Brooklyn, directly under the Manhattan Bridge and 200ft. from the main street parking. 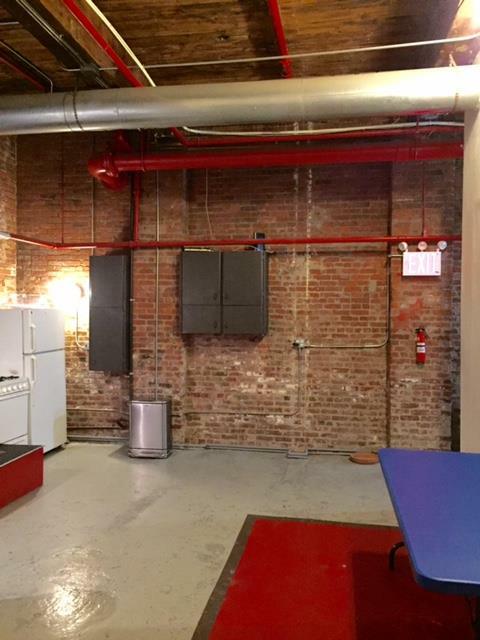 You will be surrounded by three other creative businesses that have space in the building. You cannot beat this location in Dumbo! Wifi & utilities included in rental. A shared kitchen space and a courtyard right off the kitchen. Two bathrooms are available and one bathroom has a large dump-sink (great for painters/ artists) and the other a shower. Larger studio is 14 Ft X 33 Ft long (462 Square Ft) with 18 Ft ceilings. Our huge Gallery is the perfect space for larger events. Spacious with exposed painted brick and wooden beams, perfect for larger gatherings, recitals, shoots-film and photography, exhibitions, meetings, workshops, launch parties, conferences and fundraisers. If your interested in renting one of our studios for longer rental. We offer 6 months minimum rentals or more, (depending on availability). On all our long term rentals we require one months security deposit. Please email us for more information or to check availability. Please note we do book in advance so spots can fill up quickly.